The study leader Dr Joseph Sparano, Montefiore Medical Center in New York, says most patients in this condition do not need treatment beyond surgery and hormone therapy. The research examined how to treat women with early-stage breast cancer who respond to hormone therapy. The New England Journal of Medicine published the study results. Cancer care has been developing away from chemotherapy, and now sometimes used for shorter periods or lower doses than before. 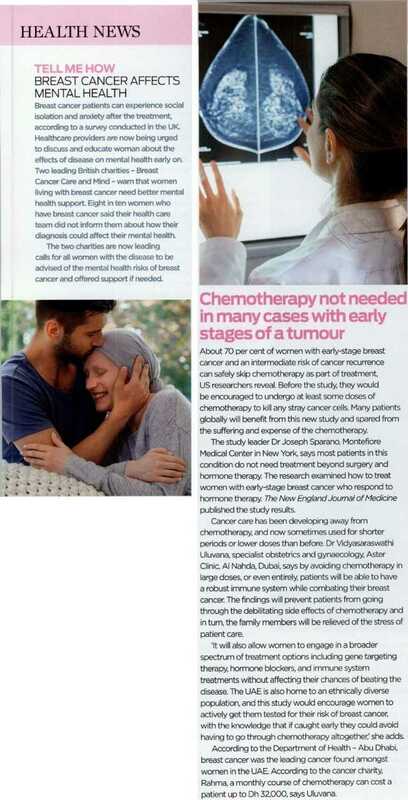 Dr Vidyasaraswathi Uluvana, specialist obstetrics and gynaecology, Aster Clinic, Al Nahda, Dubai, says by avoiding chemotherapy in large doses, or even entirely, patients will be able to have a robust immune system while combating their breast cancer. The findings will prevent patients from going through the debilitating side effects of chemotherapy and in turn, the family members will be relieved of the stress of patient care. ‘It will also allow women to engage in a broader spectrum of treatment options including gene targeting therapy, hormone blockers, and immune system treatments without affecting their chances of beating the disease. 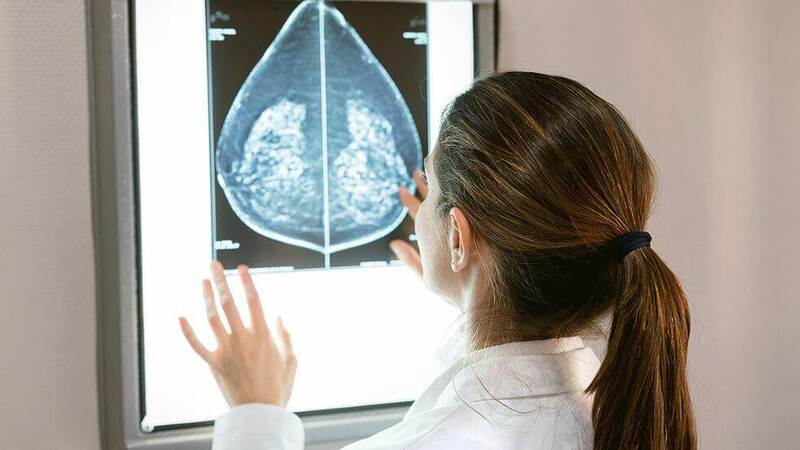 The UAE is also home to an ethnically diverse population, and this study would encourage women to actively get them tested for their risk of breast cancer, with the knowledge that if caught early they could avoid having to go through chemotherapy altogether,’ she adds.